﻿ Best Western Mission Bay, San Diego (CA) | FROM $87 - SAVE ON AGODA! 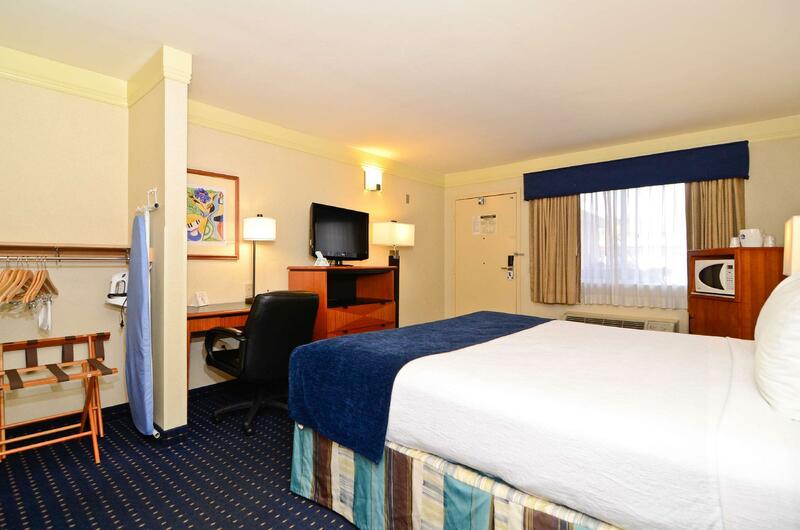 Have a question for Best Western Mission Bay? "Breakfast was good and had good selection." 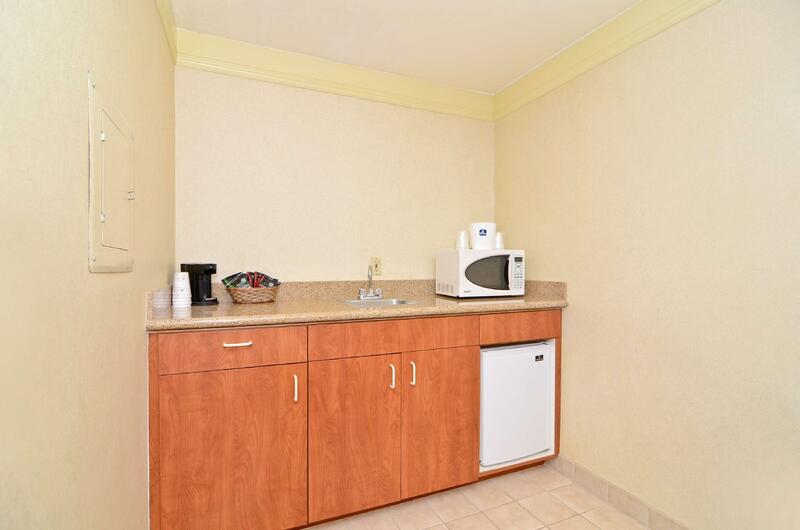 "Convenient location about ten minutes to everything." "Staff was friendly and courteous." "Here, the breakfast was great and most of all, it was free." 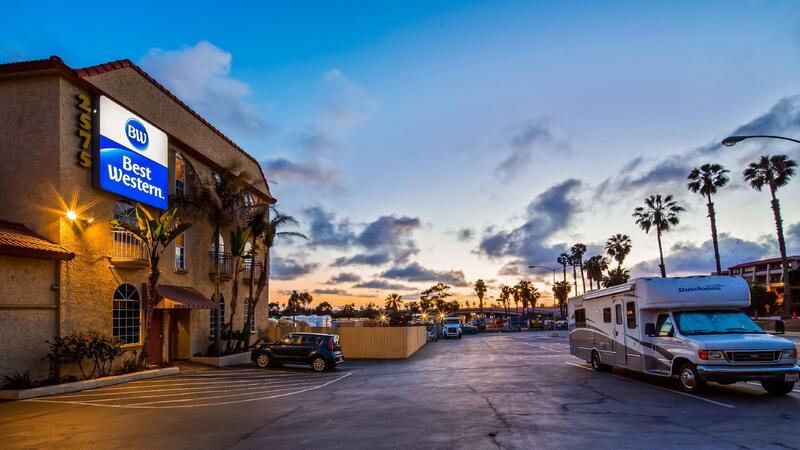 This international class hotel, situated on Clairemont Drive, is located within a close proximity to tourist attractions. The hotel features a prominent location in central San Diego. A short commute will bring guests to the San Diego Zoo and attractions like Sea World, the USS Midway, and Petco Park. 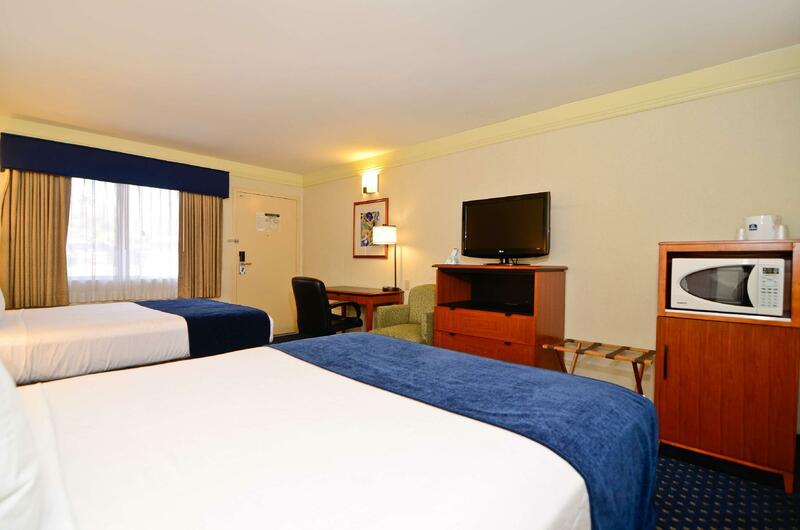 The hotel boasts sophisticated modern decoration accented by quality furnishings and modern amenities. The rooms are adorned with a pleasing nautical theme that uses interesting colors and supple fabrics to promote a sense of well being. The Best Western Mission Bay is ideal for travelers that want seaside accommodation with easy access to recreational areas. "Very clean,lots of hot water,air conditioner worked great,mo..."
Staff friendly and very helpful. Great breakfast! Very clean,lots of hot water,air conditioner worked great,more than we expected for the price. No cons. Great value for your money but the shower mat peeled off putting our lives at risk on a very slippery floor. Cleaning carts were left unattended on the hall for a long time which interfered getting in and out in the elevator. Bed was comfortable. Breakfast was good and had good selection. Close to Old town and sea world. 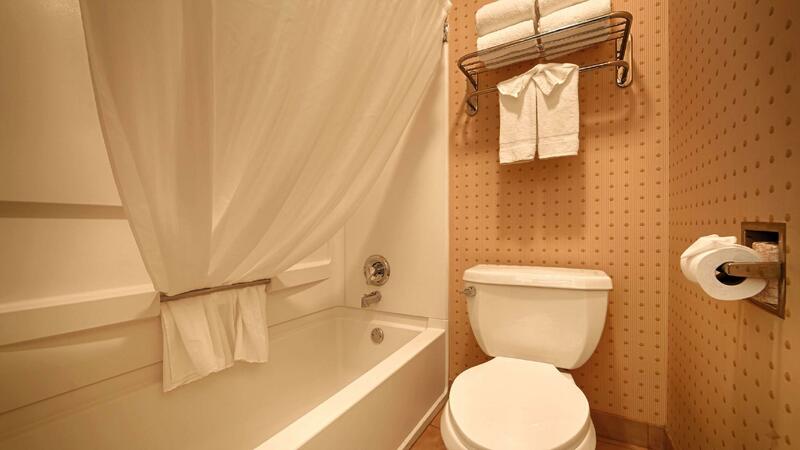 Convenient location about ten minutes to everything. Could be a little cleaner. Found hair on towel, sheets, and pillow. Wear slippers or your feet will turn black if you go bare foot. I' ve spent the majority of my life in San Diego and I had some personal business to attend to. I know the area well and I picked this hotel for the location. This was high season and I was surprised at the high prices of all hotels in the area. This hotel had the best value that I could find. Cons: Don't expect BW Mission Bay to be a new fancy hotel, but it fit my needs well. The carpet was overdue for a shampoo Pros: Location, location, location. It is located for quick access to I-5 and I was able to get around town efficiently. Some hotels charge $20 or more for breakfast that included slimy, inedible scrambled eggs. Here, the breakfast was great and most of all, it was free. I can see where a family can save $$$ with just the breakfast alone. Staff was friendly and courteous. I would stay here again and I look forward to my next visit to San Diego. Our stay was good. Room service was great. Loved the pool and jacuzzi. Breakfast was good. Close to freeway. 1 exit away from old town and 2 exit from SeaWorld. Con: when I went to check in the clerk ask me for my credit card and ID. I was assuming he was gona check it. But he tried to run my card again. When he said my card decline. I was in shock. I told him I paid for it when I booked it. I showed him my bank. He started telling me that's normally people pay once they check in. I told him I will call Agoda to see what's going on. Once I said that he said he had Agoda credit card on file.? ?I think it was miss communications. But next time I will let them know in advance i paid for it online. Overall I did love our stay at best western and will definitely book next time in San diego. Room is clean.staff so nice. The hotel looked kind of rundown and I did find the room kind of smell funny. But I liked the location as it was about 10min drive to Seaworld (which was what we came for), and I liked the breakfast. I stayed here for one night and it was safe, clean, good breakfast hotel. And place is easy access from highway. I strongly recommend this hotel for trip. Overall not to bad, best thing is breakfast with a lot of rich choices and well prepared by friendly staffs Location is good close to sea world and down town We may stay again here if we go sandiego. the hotel's location was good, close to everywhere. but there was a damp in the room and thats ehy has bad smell.